Set Sail with Sailaway Tour! Join in on Aruba's most spacious wooden sailboat. No crowds and plenty of space to move around and enjoy Aruba's spectacular sunsets. Enjoy our variety of cocktails, lie down on our cushioned lounge area or the nets in front of the ship while the captain sails you along the illuminated coastline of Aruba. A private charter with Full Throttle Tours Aruba will take your group of up to 10 passengers on a unique high speed adventure across the crystal clear blue waters of Aruba. 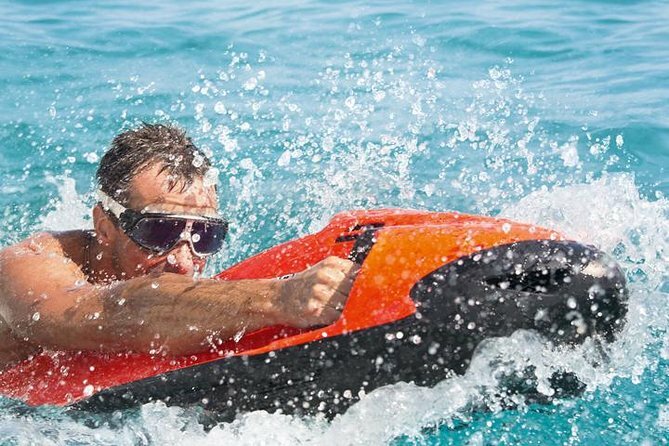 Get ready to have fun on a 2 1/2 hour tour aboard the Sensatie, a state-of-the-art RIB vessel equipped with top-of-the-line safety equipment to ensure a smooth, fast, thrilling ride. We offer two tours daily, 9:30-12:00 and 1:30-4:00. 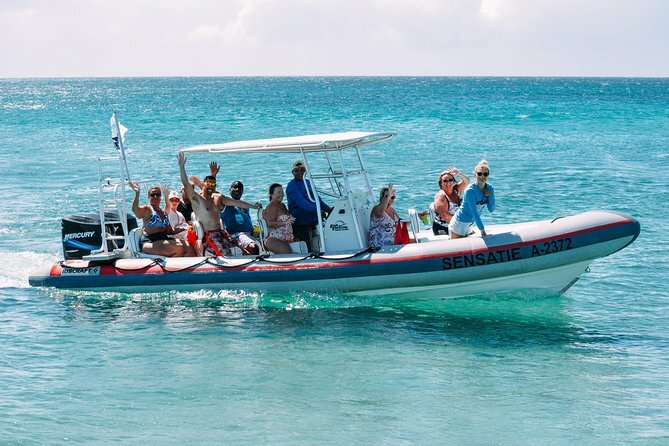 During your time aboard the Sensatie, our staff will share their knowledge of Aruba as you jet across the smooth waters and arrive at exciting points of interest and excellent snorkel locations. Snorkel equipment and instructions, if needed, will be provided to all guests. Our trained and certified staff is looking forward to providing you with exceptional service during your thrilling ride aboard the Sensatie. 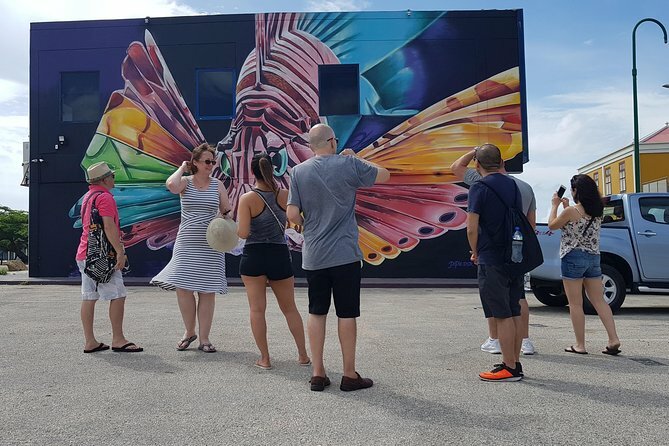 You get to learn all the exciting stories of the Murals made by international top artists from all over the world! San Nicolas is the only place on Aruba that you will find such beautiful murals! Full Throttle Tours Aruba will take you on a unique high speed adventure across the crystal clear blue waters of Aruba. 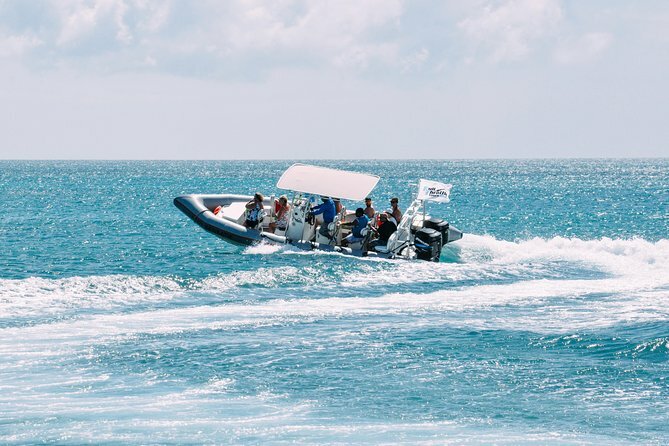 Get ready to have fun on a 2 1/2 hour tour aboard the Sensatie, a state-of-the-art RIB vessel equipped with top-of-the-line safety equipment to ensure a smooth, fast, thrilling ride. We offer two tours daily, 9:30-12:00 and 1:30-4:00. During your time aboard the Sensatie, our staff will share their knowledge of Aruba as you jet across the smooth waters and arrive at exciting points of interest and excellent snorkel locations. Snorkel equipment and instructions, if needed, will be provided to all guests. Our trained and certified staff is looking forward to providing you with exceptional service during your thrilling ride aboard the Sensatie. 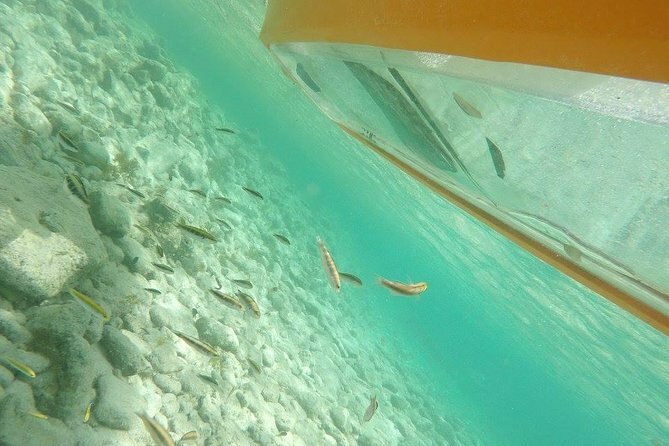 CATAMARAN SNORKELING: 3 hours, 2 snorkel stops, 1st at the shipwreck ”Antilla”, 2nd we go to Boca Catalina a beautiful reef where you see lots of colorful fish. Includes: open bar, light lunch (sandwich), tropical, fruit, snorkel equipment, rope swing , spectacular water slide and a ”I love Aruba" t-shirt. 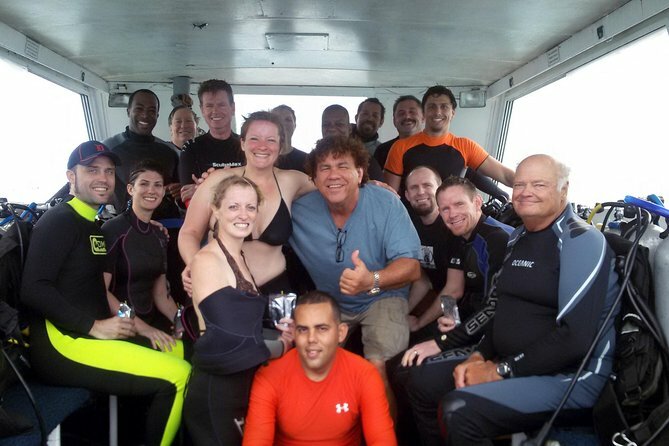 Very friendly crew, if you don’t know how to snorkel we’ll teach you how. Price: $US 50,--p.p. (adult), kids $US 35,-- (5-12 years), (0-4 years free). From 9:30 am – 12:30 pm, or 1:00 pm – 4:00 pm. "Wear casual clothing"
Delphi Watersports is located in front of the Hyatt Regency towel hut on the beach. Ask for Jhon or Olga. 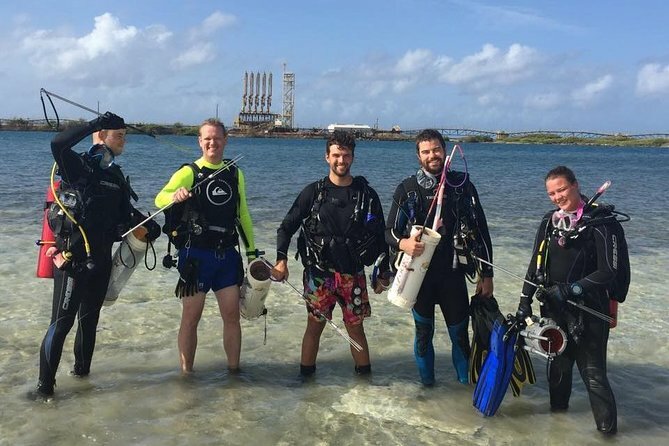 Become a LIONFISH HUNTER for the ARUBA LIONFISH INITIATIVE! Help us protect the reefs to hunt the Loinfish. We teach you how and with an Alfi lionfish Hunter Certification you are allowed to hunt them with a spear. 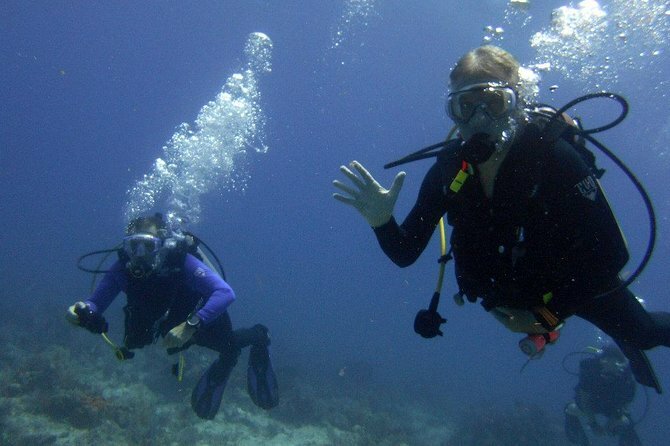 Experience Aruba on this Refresher courses a diving adventure. From here your will open back the door to dive back in open water. Aruba is known for unforgettable scuba dive experiences. It has a nice range of dive spots, reefs, shipwrecks and even plane wrecks for divers. Welcome aboard the “DOLPHIN”! 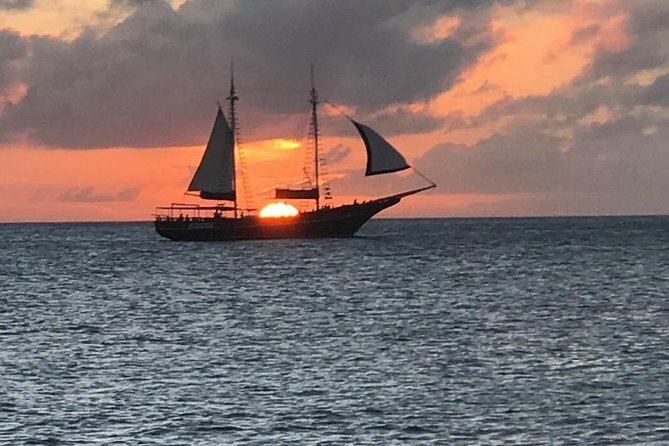 Whether you join us for an exciting snorkeling cruise or a breathtaking sunset sail we’ll make sure it will be the highlight of your vacation! Our professional staff will give you the ultimate service to ensure you’ll have the time of your life. So come along and book a trip on our 45 ft. Catamaran “DOLPHIN” with its spacious decks, trampolines for sunbathing and a large roof for shade with its own bar serving free cocktails! Enjoy sailing along the coast and enjoying the beautiful Caribbean sea, while the sun is setting. Great for taking pictures or just relaxing to the music with a drink. 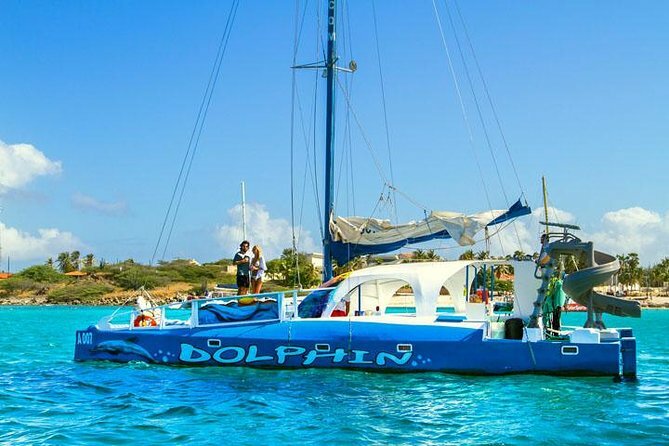 What's Included: 2 hours of sailing along the coast and enjoying the beautiful Caribbean sea, while the sun is setting. FOR beginner and intermediate MOUNTAINBIKERS ! :Ride with your profesional certified by the Dutch cycling federation(KNWU) guide. He will give you tips and tricks about mountain biking on state of the art scott or trek mountain bike. The ride is approx.21/2 hours depending on how many stops you make. You will cover terain by the north east coast to the Alto Vista chapel to the Tierra de Sol Golf course up to the California ligthouse (with the wind in your back)passing Arashi beach,Boca Catalina, The wind and kite surf schools .Total of miles approx. 11 (20km).All rides go out in the morning when it is still cool. The guide will tell you the insides and out of Aruba. An extra stop will be made at famous Malmok beach for the snorkeling. We provide snorkeling mask and snorkel. A great way to stay in shape or keep up your training routine while on vacation on the Island. At the same time enjoying the beautiful views Aruba has to offer. While vacationing in Aruba discover the thrill of scuba diving in 4 hours, Includes classroom, Video, pool session, one tank dive, all equipment, drinks and fruits. The resort course introduces basic safety information and allows participants to scuba dive under close supervision of a qualified Instructor. The resort course will open the doors to a beautiful underwater world with lots to discover. The minimum age for the resort course is 10 years. 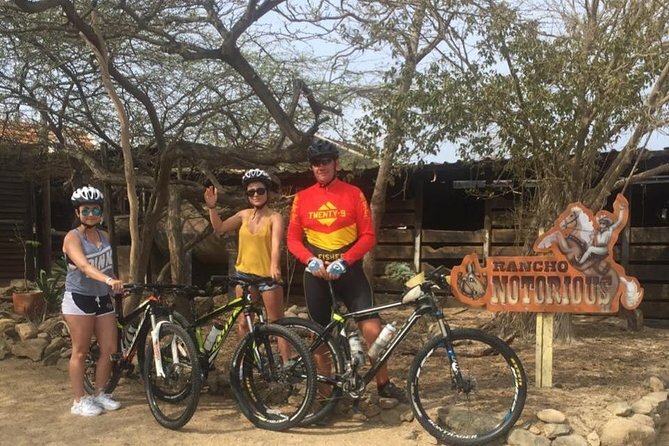 This fun-filled guided Safari adventure is designed to showcase the rugged and unseen beauty of Aruba. The 4x4 journey will take you to one of the highest viewpoints overlooking the island and to places only accessible by a four-wheel drive. 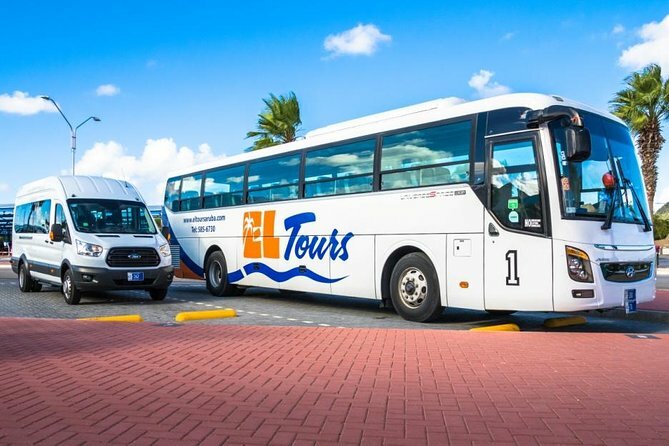 Your full-day tour starts with a pick-up service at the hotel or the Cruise Terminal. The expedition will include several stops: California Lighthouse, Wish Garden, Chapel of Alto Vista, Shark's Mouth, Bushiribana Gold Mill Ruins, Natural Bridge, Arikok National Park, Indian Caves, and San Nicolas. 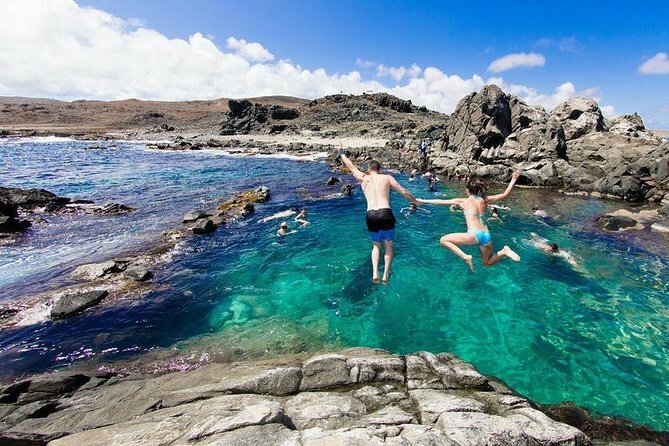 You will have the chance to go swimming and snorkeling at the famous Natural Pool and Baby Beach. Flyboarding and Jetovator 30 min. Do you want to fly like a bird...or dive like a dolphin? 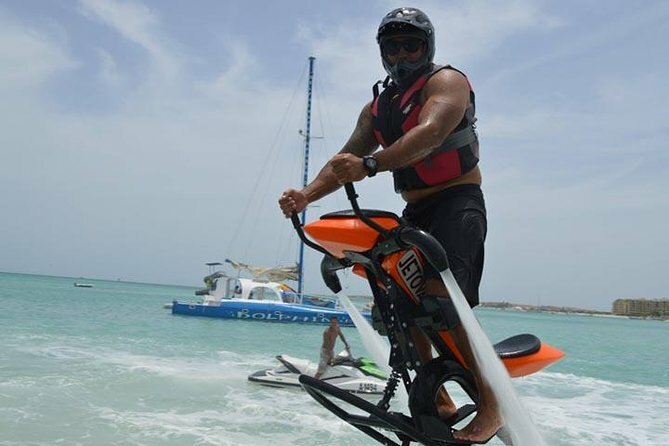 Delphi Watersports introduces their latest exhilarating new activity: FlyBoard Aruba! Our professional Flyboard instructor will teach you how to fly safely above the beautiful Caribbean Sea. You will experience the thrill of flying by yourself like Ironman! Many of our customers have already "experienced the difference" while flyboarding with us at Delphi Watersports. This is one of the coolest things you will ever do, and there is no way to describe it better than "absolutely fabulous!" Just make your online reservation today and get ready for the thrill of your live! Your safety is most important to us! Therefore altitude & speed are subject to weather conditions and upon judgement of our instructors only! Safety helmet and life jacket are mandatory. We wish you a pleasant flight with Delphi Watersports! 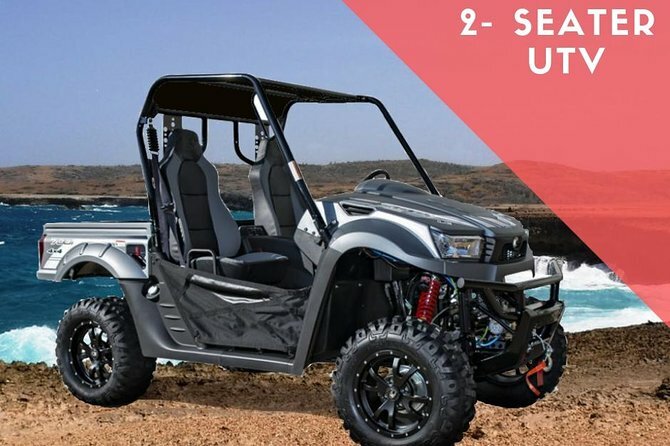 Rev up things a notch adventure lover, and sign up for the Coolest Safari utility task vehicle (UTV) for the most electrifying and fun guided ride. 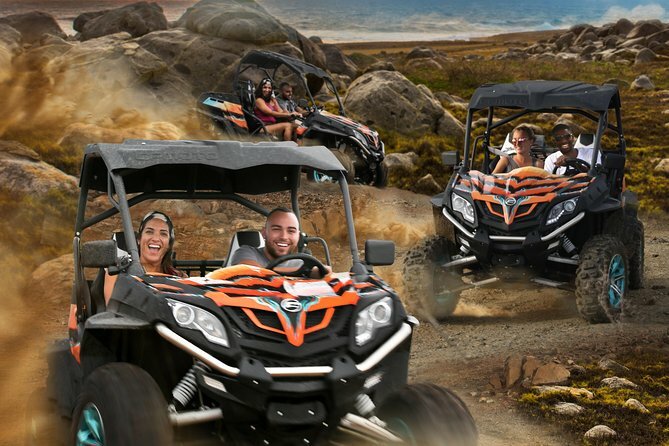 Now, anyone can experience the thrill behind the wheel driving through the desert like terrain on our guided off-road UTV Adventure Safari tours. 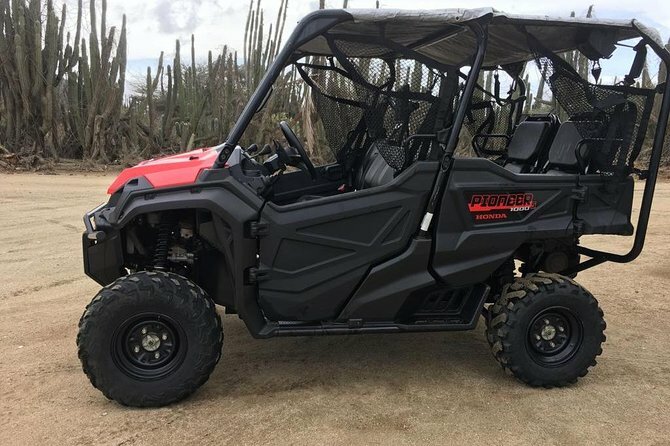 With our electronic power steering, automatic gearboxes and 4-wheel drive, off-roading could not get any easier, and still a safe UTV ride around the island. Bring a friend, as your passenger, and together you guys will experience one amazing and wild ride adventure! Our tours are meant to keep you safe, and thus we only offer guided tours - don’t worry there will still be enough thrill, speed and excitement. The tour begins on Arashi Beach. The Antilla shipwreck is one of the most beloved underwater exploration sites available around Aruba. Explore it and other marine sightseeing areas on a Seabob F5 S jet. Come explore the rugged side of Aruba and all of the beautiful natural wonders it has to offer. You will also get a chance to see some of the most historical buildings on Aruba. You can choose one of our private guided tours, or even customize your own! Or you can also Rent a UTV and go exploring on your own! 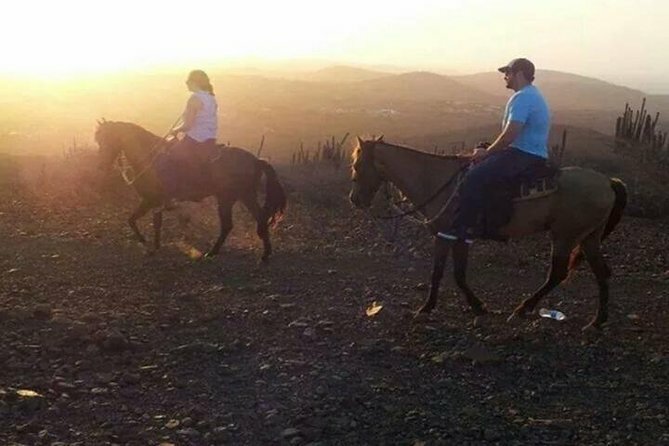 Fulfill your day with a beautiful sunset western style, looking at the sun as it fades over the horizon of the untamed carribean sea from the heights of the Arikok park. Glide through crystal-clear water and over vibrant coral reefs, looking for blue parrot fish as they dart around the bottom of your boat. Make your way to the area's mangrove forests, explore this tranquil environment passing through tunnels of mangroves, and stop at the secluded sands of Isla di Oro. End your active day on the water with some fresh fruit at Mangel Halto Beach. Avoid the hassle of waiting in a long line for a taxi and enjoy a comfortable and convenient shared shuttle from Reina Beatrix Airport to your accommodation or from your accommodation to the Reina Beatrix Airport. Service available to or from any resort in Aruba. Uniformed and professional multilingual staff in addition to clean top of the line vehicles ensure an excellent transfer experience. 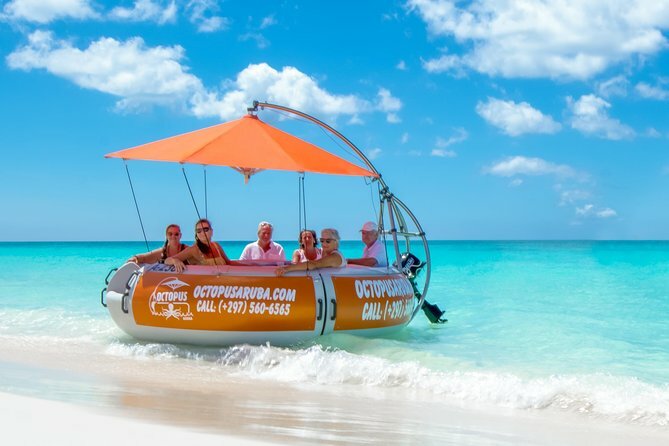 Floating the Sea in An Aqua Donut Boat with Octopus Aruba! Our Aqua Donut is designed to meet the special requirements of hire without a boat licence. Aqua Donut isn’t spongy and fluffy like its edible counterpart. This one’s made of high-end fibre glass so it can seamlessly glide over water. 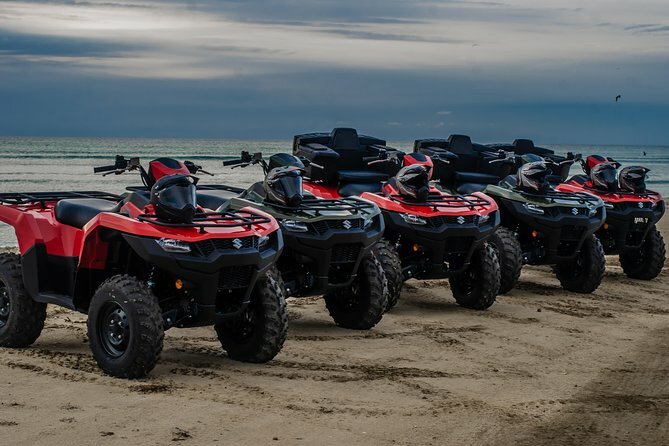 Ride along the north coast of Aruba aboard our Honda Pioneer 1000CC on this 4 hour tour. Kick up dirt as your Side by Side (UTV) takes you through rugged back roads, desert, seaside, and to natural pools where you are able to swim and snorkel. Local hotel pick up and drop off is provided.